Jaroslaw Kaczynski accuses the UPA of "heinous crimes." 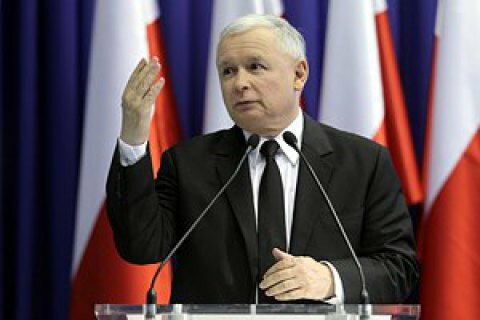 The leader of the ruling Polish Law and Justice party, Jaroslaw Kaczynski, has said that the future of Polish-Ukrainian relations is up in the air. "There is still no certainty about whether Ukraine is going in the direction unacceptable for Poland. This refers to whether it is going to base its history on the UPA traditions, traditions of organizations that have committed heinous crimes against the Poles. Or perhaps it abandons this path," Radio Poland quoted the politician as saying in an interview with Radio Rzeszów. Last April, the Ukrainian parliament adopted a bill on the legal status of participants in the struggle for the independence of Ukraine in the 20th century, including servicemen of the Ukrainian People's Republic (UNR) and Western Ukrainian People's Republic (ZUNR), the Carpathian Sich, the Ukrainian Liberation Army, the Organization of Ukrainian Nationalists (OUN), the Ukrainian Insurgent Army (UPA), the Ukrainian Supreme Liberation Council, Ukrainian Helsinki group and other related organizations. On 22 July 2016, the Polish Sejm adopted a resolution recognizing the Volyn tragedy as genocide. In accordance with the legislation, Poland will mark 11 July as Day of Remembrance of the victims of "genocide" committed by the Ukrainian nationalists against citizens of the Second Polish Republic.